Did you hear about the time a mule won the Great American Horse Race? It’s kind of a tortoise and hare story. At WBUR’s Only a Game, Martin Kessler explains why endurance mattered. “The year was 1976. … In honor of the bicentennial, trains and airplanes were painted red, white and blue. A fleet of tall ships sailed down the Hudson River. “And there was a horse race unlike any other. “It was called the Great American Horse Race, and it would span nearly 100 days and 3,500 miles, starting in New York, heading to Missouri, and then following the Pony Express route to California. “[Curt] Lewis was hired by the race organizers to document all the greatness and Americaness of the Great American Horse Race. And also the competition. “The rider who covered the distance fastest would get $25,000 – worth about $100,000 in today’s dollars. “And then there was Virl Norton. He was one of the oldest riders. He didn’t have as big a bank account as most of the others. He didn’t have any fancy horse equipment. Or a big crew to help him set up camp or cook or do laundry. “But he had a plan. With his 16-year-old son as the only crew, Norton set out across country with his mule Lord Fauntleroy and a backup called Lady Eloise. And left those fast horses in the dust. 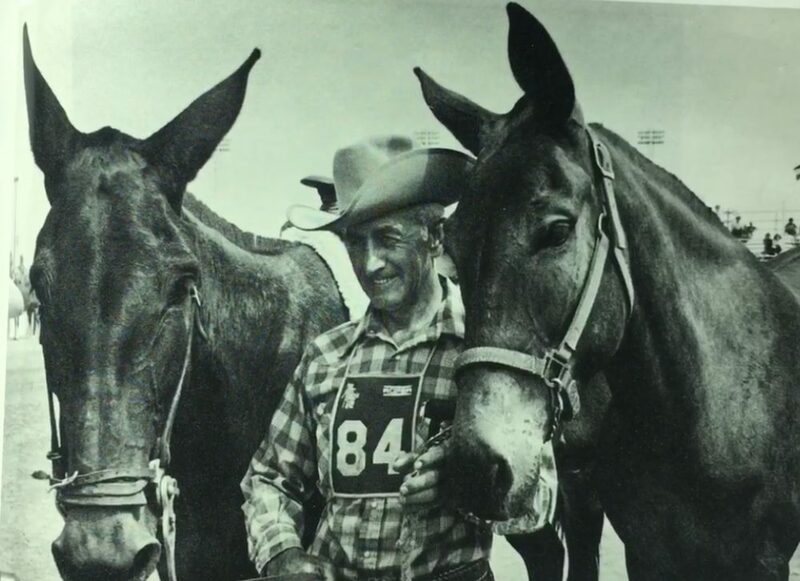 Virl Norton, winner of the 1976 Great American Horse Race, with mules Lord Fauntleroy and Lady Eloise. Couldn’t you come up with about 1000 metaphors for life from this story?! In addition to “slow but sure” messages, I loved that he had only one helper — his teenage son. What a great thing for that kid! Lord Fauntleroy and Lady Eloise!!! I know. What’s not to love?